This is just short list and only representative of what is currently being reported. Most of these photos are recent as of 4/6 to 4/9. 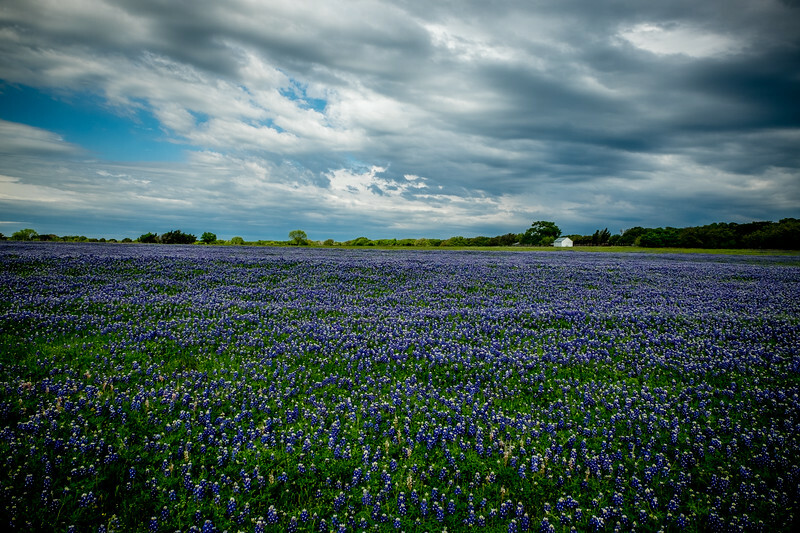 From my own observations the bluebonnets are mostly at peak, but still look good in medium size landscapes especially small fields and roadsides. The area has and is receiving more rain this week, so it is possible these areas will still look good through 4/15 maybe longer. If you are coming from a location within 2 to 3 hours from the Hill Country it might still be worth the trip. No guarantees though. Some of the better looking blooms are now being spotted in areas just north and northeast of Burnet back towards the North Central Texas area. 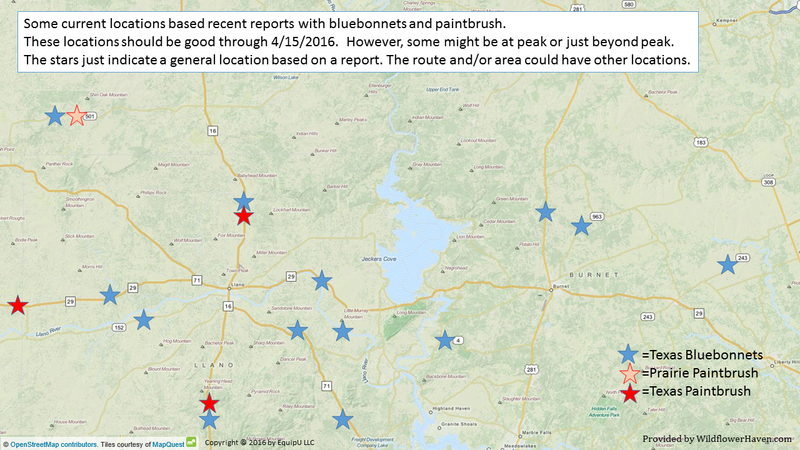 Here is a map showing some of the recent report locations. The locations posted are just general and not necessarily the specific location of the report.